If you have been looking for an amazing portal wherein you can bet online while also getting to play live online casinos, you should look no further than 1xBet! With an easy to use interface and swift navigation, 1xBet.com is easy to follow and provides a user-friendly gaming experience. The portal also spices up the game a bit by allowing you to chat with other players and fellow members which definitely sounds great! Not only this, but you also get an opportunity to receive recommendations and suggestions from various betting and casino experts! What’s more? You are eligible to get a 100% bonus of the maximum amount of ₹7500 on registering yourself successfully and making the first deposit. Further, they have an easy to follow online gaming and betting system such that novices and experts can understand the rules and betting tactics on the go. Additionally, 1xBet provides detailed rules and instructions with safe and convenient payment methods. That is the reason why placing a bet and playing online casinos on 1xBet is incredibly simple. 1xBet claims to be the best online gaming and betting portal with a wide assortment of events like fast and reliable bet processing, opportunities to bet big on the most popular events like FIFA WC 2018, guaranteed safe and secure payments on all successful bets, individual approach to each and customized offers, and much more. Although 1xBet is majorly a betting portal, it is not far behind when it comes to offering online casinos with a variety of games, TV games and live gaming. This was the initial introduction about 1xBet.com, and we promise there is a lot more to it! In this article, we will have a closer look at all important aspects of the 1xBet. We will talk about baking options, user security, playing experience and much more! Without wasting any time further, let’s get started. Having concerns regarding money transfers and banking options when placing bets and playing live casinos is obvious. So, let us help you with that. Probably one of the best things about 1xBet is that it allows you to play in Indian currency which is surely a relief to hear. Thus, you no more need to boggle your mind in confusing exchange rates. Also, the portal offers a bunch of options for making deposits and withdrawals. As a matter of fact, 1xBet allows you to make payments through bank cards like Visa card, Master card, and Entropay. Additionally, other deposit methods include bank transfer, Skrill, Neteller, and AstroPay card. You can also make payment through e-wallets like WebMoney, Perfect Money, Epay, E-Vouchers, and Sticpay. What’s more? You can also choose to pay via cryptocurrency like Bitcoin, Litecoin, Drogecoin, Dash, Ethreum, Monero, ZCash, GameCredits, NEM, Bytecoin, Sibcoin, DigiByte, Bitcoin Gold, Bitcoin Cash, Ethreum Classic, xGOx, and BitShares. Similarly, when it comes to withdrawing funds, you have got an array of options as well like Visa and MasterCard, Entropay, WebMoney, Skrill, Perfect Money, PayTM, Sticpay, Neteller, ecoPayz, Payeer, Ecobanq, AstroPay, and others. You can also withdraw money in the form of cryptocurrencies! So, there are a lot of options which are 100% safe and you can use any of them for making withdrawals and deposits. Further, 1xBet claims to keep your money safe, all thanks to its highly secure and encrypted portal. Next, let’s talk about some exciting stuff – rewards and bonuses. 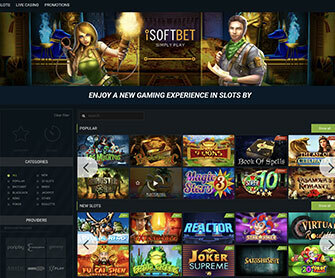 What a gaming portal, especially an online casino and betting portal is without offering amazing rewards and bonuses? Thankfully, 1xBet lives up to the spirits and provides amazing offers, not only on signing up but also while placing bets and playing in the online casinos. 1xBet gives you a welcome gift of 100% cashback on your first deposit up to ₹7500. Now, that’s crazy! But, we are not done yet and neither their bonuses. So, here is one more bonus which will blow your mind. So, they have a special day when they give more exciting offers and bonuses and it is Friday. Yes, you heard that. You are getting a bonus for every day in a week. Not only Friday but Wednesday is also a bonus day. If you are a participant of lucky Friday offer, you are also eligible for the Wednesday bonus offer which is even bigger than the lucky Friday offer. 1xBet offers you a variety of games for betting such as cricket, football, tennis, basketball, badminton, golf, rugby, water polo, ice hockey, poker, snooker, boxing and other wrestling games. As soon as you register on 1xBet, get ready to face the heat. Simply, bet on your supportive side and win a huge amount of money. 1xBet provides you an awesome platform for live betting. So, you can place your bet and watch your results instantly and win money by betting live. Imagine how exciting it will get when you are placing bets while watching a match. You can support your favorite side by placing a bet and get a chance to win exciting prizes. Now, let’s talk about something more interesting, online casino games. Yes, 1xBet even offers you over 450 online casino games which include slots and blackjack and many more awesome and famous casino games. There are a bunch of casino games and tons of different rewards available on 1xBet. So, get ready for getting a marvelous experience of online casino games such as slots, blackjack, and roulette and also place your bets on your favorite players. For support, 1xBet has the option of live chat as well as you can call them on their customer care number. They have a support team which is active 24/7 for your convenience. You can also find them on Facebook, Instagram, and other social networking sites. You can also call them at 000 800 050 71 00 or fill out their form. Let’s talk about the user experience and the registration process. It is worth mentioning here that it is fairly simple to register yourself at 1xBet with just one click. All you need to provide is your phone number and currency and done! Your user id and password would be then sent to your mobile as a text message and voila! It is done. You are now ready to enter the world of betting and online casino gaming. Apart from the registration process, it is comparatively easier to play games and place bets. The portal has a user-friendly user interface and swift navigation. The color and graphics of the website are great too and would provide you the feeling as if you are playing live at Las Vegas. 1xBet is an incredible platform which is built for placing bets and playing online casino games, as well as 1xBet, is completely safe and secure website where you can play bets without any risk of fraud. 1xBet is a perfect casino portal for Indian users who want to get a gambling experience. 1xBet is giving you bonus up to ₹7,500 as a welcome bonus for registering yourself and also giving you so many daily rewards and bonuses for online casino registration. Finally, there are a lot of banking options so you can make transactions safely and 1xBet is completely secured platform which is authorized by the Malta gaming authority. So, without wasting any time, register on 1xBet and enjoy betting and gaming.